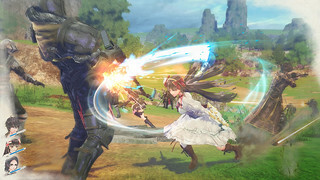 Valkyria Revolution (formerly Valkyria Azure Revolution, if you’ve been watching the title in Japan) is poised to make landfall on the shores of the Americas and Europe in 2017 on PS4 and PS Vita! Now, maybe you tried Valkyria Chronicles Remastered earlier this year, or maybe you and the rest of Squad 7 persevered through the Gallian Empire invasion back on PS3 in 2008. Well, take one last look at those memories, because war is about to change. 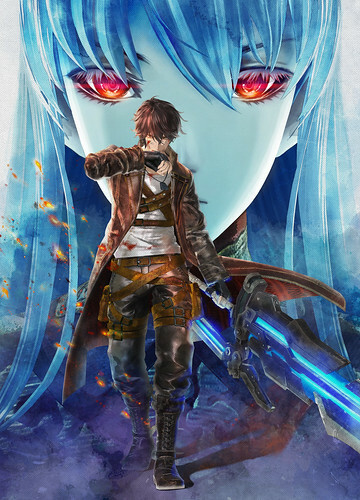 Quite literally a revolution from previous Valkyria titles, Valkyria Revolution takes place in an alternate time, continent, and universe. However, there are a few common threads throughout: the magical, azure-colored mineral ragnite returns in this game; as do the Valkyria, the last of an ancient race of highly destructive, demi-gods. Valkyria Revolution shows how a single spark can ignite the inferno of war. Five lifelong friends consumed by personal revenge plunge an entire continent into a terrible war, sacrificing the lives of countless innocents for a cause based on twisted half-truths and outright lies. This “Circle of Five” use their combined political and military influence to motivate their small, economically blockaded homeland to rise up as a powerful resistance against imperialist oppressors. Will the Circle of Five be remembered as heroic liberators, or will their selfish motives expose them as traitorous conspirators who sacrificed untold lives just to carry out a personal vendetta? Heavy, right? That’s the story players will be chipping away at in Valkyria Revolution, but there are lots of other elements at play. It’s a ground-up look at war, and the blurred lines of morality it inevitably crosses. Ultimately, the game asks: Are you truly a hero? Or just the least despicable bad guy? And speaking of morality – permadeath is a returning gameplay element as well. Sure, it may be tactically advantageous to sacrifice a soldier for the good of the team, but you’ll have to be the one who bears the bad news to their next of kin. And finally, let’s not forget – this is war: the fate of a nation and countless lives are on the line. There are plenty of contacts you’ll have to make in order to keep the military intelligence going – and your relationship with your squadmates may mean the difference between difference between survival or ruinous defeat. Valkyria Revolution will arrive in the Americas and Europe in spring of 2017. The PS4 version will be available both physically and digitally in all regions. 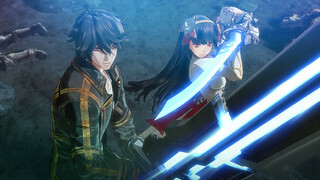 The PS Vita version will be digital-only for all regions.